Our work in transit-oriented development (TOD) helps people drive less, spend less, and enjoy a higher quality of life by encouraging development of livable communities around transit stations. 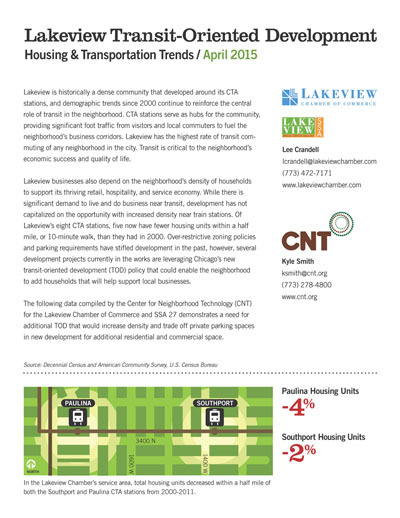 CNT recently hosted a series of workshops about pertinent equitable TOD (eTOD) topics such as parking requirements, new technology, and more. 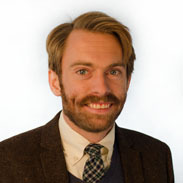 The workshops were also made available via webinar, and recordings are available to view here. We help communities accelerate TOD to tackle some of the biggest issues of our day: community affordability, changing transportation needs, equal access to livable communities, and climate change. For more than two decades, we have championed the potential of transit-oriented development (TOD) to breathe new life into urban communities. 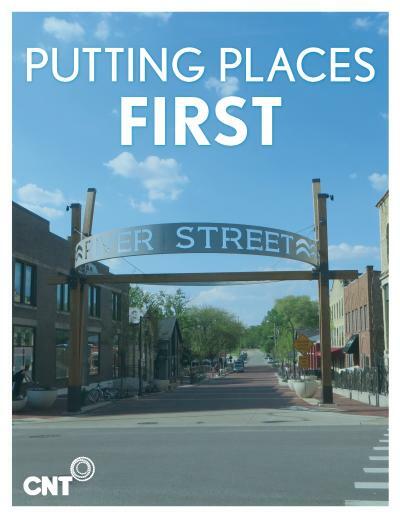 We promote TOD because it creates walkable and connected communities where people can own fewer cars and live closer to jobs, shopping, schools, and other destinations. When people drive less, they spend less and produce fewer greenhouse gases in the process. We strive to make sure that living in a TOD is affordable where transit stations already anchor growth, and we help distressed communities use TOD to spur neighborhood investment. When those things happen, major benefits accrue. Our research shows that equitable TOD can dramatically increase access to jobs via transit, reduce the cost of transportation, and provide alternative mobility options for low-income households. As TOD becomes an increasingly accepted planning concept, questions remain for practitioners. How do we ensure that it includes housing for all incomes? How much parking does a TOD really need? How can TOD meet climate change goals? 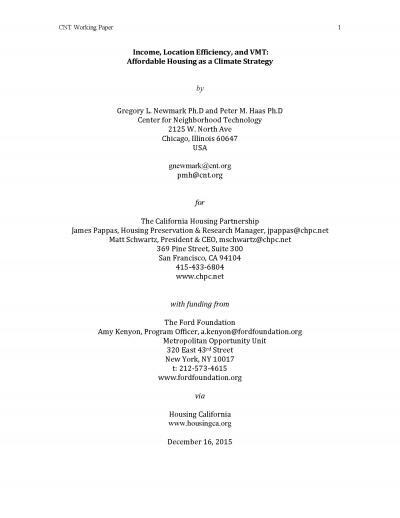 How can communities Affirmatively Further Fair Housing through TOD? How much can households save on transportation within a TOD? As households in TODs spend less on transportation, how does it support local economies? That’s where CNT can help. We’ve developed the tools and metrics to track environmental, economic, and cost-of-living savings. 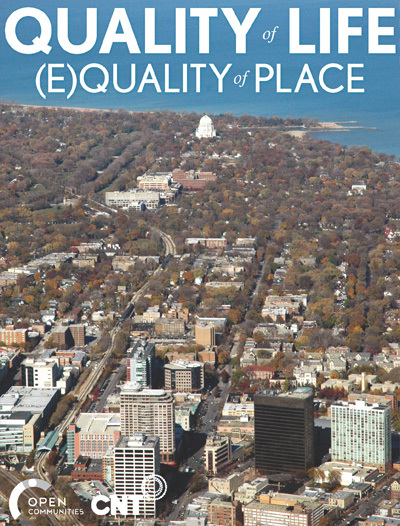 We’ve used our data to guide performance-based best practices for TOD in Chicago and across the nation. And we support progressive TOD policies at all levels of government. 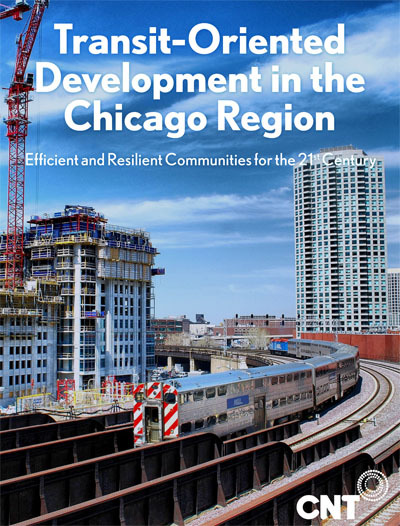 We’ve done it as a founding member of the national Center for Transit-Oriented Development, and we’ve advanced TOD projects in our Chicago backyard. 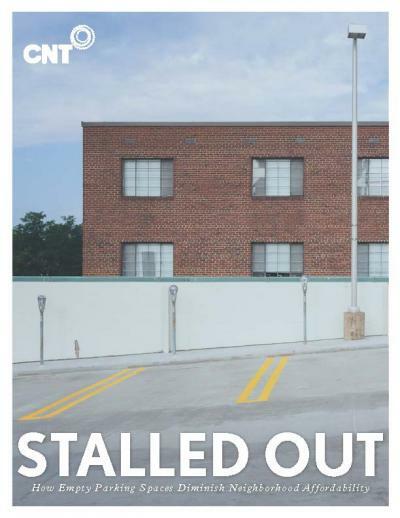 Stalled Out: How Empty Parking Spaces Diminish Neighborhood Affordability explores the relationship between unused parking and neighborhood affordability. Many cities, including Chicago, mandate the minimum number of parking spaces new developments need to build. As the report points out, however, these minimum requirements don’t always reflect real demand. The supply of parking exceeds demand. Buildings offered two spots for every three units. According to our analysis, they only used one for every three. As parking supply goes up, much of it sits empty. Apartments with fewer spaces saw a greater percentage of their parking used. Apartment buildings near frequent transit need less parking. Buildings within ten minutes of a Chicago Transit Authority (CTA) train stop provided one spot for every two units. Even then, one-third of the spots sat empty.